Games executive Jade Raymond explored the art of managing creative talent within the games industry in her fascinating talk, part of the annual BAFTA Games Lecture series. On 8 May 2015, Jade Raymond delivered the BAFTA Games Lecture. Entitled Managing Creativity: What the Games Industry can Learn from the Games Industry, Raymond explored the various ways in which games companies can enhance and improve creativity across their organisation. She began by stating that many leave the games industry because they would like a better quality of life. Other factors included wanting better pay and hours, or feeling burned out. Raymond addressed how vital it is to motivate and keep talented people in a games company, emphasising the fundamental importance of talented teams. Quoting Ed Catmill, she said "If you give a good idea to a mediocre team, they will screw it up. if you give a mediocre idea to a brilliant team, they will either fix it or throw it away and come up with something better." For Raymond, a key question that she is often asked is how do people progress in their career? She made the comparison that many gaming systems are tremendously successful at rewarding and satisifying players. Why isn't this also true in the workplace? Drawing from a wide range of examples such as The Sims, Minecraft, DOTA 2 and Dark Souls 2, Raymond argued that the most fun people have is not necessary what the game designer had in mind, but the fun the player has made for themselves. More specifically, she suggested that when you have meaning in your game, you have the possibility of enriching a player's life. Similiarly, if you are willing to explore different ways of rewarding and giving value to teams in your organisation, you will ultimately enrich their lives too and improve the quality of your game. Finishing with a quote with Albert Einstein, Raymond said that "play is the highest form of research", a brilliant note to end her thought-provoking and highly stimulating lecture. 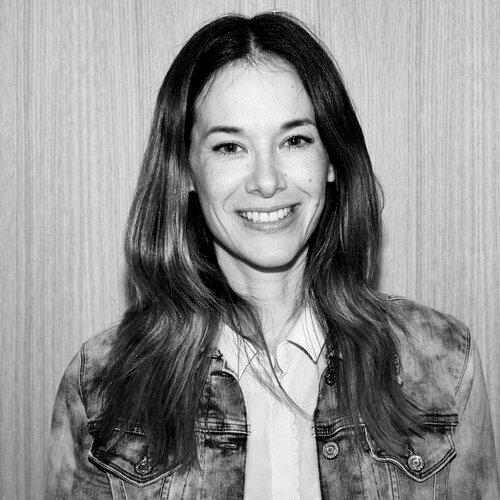 Jade Raymond is a BAFTA-nominated games executive, best known as co-creator and Executive Producer of Assassin’s Creed. With 32 BAFTA nominations to its name and over 76 million copies sold to date, Assassin’s Creed is one of the most successful game franchises of all time. After co-creating the series, Jade went on to lead the team that developed Ubisoft’s Watch Dogs, before founding Ubisoft’s Toronto studio where she built a team of over 300 developers in less than three years. BAFTA/Jamie SimondsJade started her career as a programmer for Sony Online and has held various programming and management positions at Sony, Electronic Arts and game development start-ups. She holds a DEC in Pure and Applied Science, and a BSc in Computer Science from McGill University. Jade recently moved back to Montreal where she is helping developer friends get their indie game projects off the ground while preparing for her next big move which should be announced this summer. Jade sits on the Board of Directors of WIFT-T, an organisation dedicated to the advancement of women across screen-based industries. On Friday 28 September, games legend and METAL GEAR SOLID creator Hideo Kojima shared his thoughts on the state of the industry in a conversation with Johnny Minkley at BAFTA.